Beginning from February 2014 when 20 young female students were reportedly abducted from Government Girls Senior Science Secondary School and Ashigar School of Business and Administrative Studies, Borno State, Spaces for Change.S4C launched a people-powered campaign using both the formal and informal media to heighten awareness of the growing threats to educational freedom of young school girls in northern Nigeria. Capitalizing on its strong online presence especially on Facebook, S4C moderated daily web conversations around the abductions to sustain the tempo of public outcry calling for the immediate release and safe return of the school girls. Within the intensely polarized discussions and fierce debates generating hundreds and thousands of commentaries on the violent crisis ravaging Northern Nigeria are cogent and compelling questions directed at the Nigerian government, the Borno State Government, the Nigerian military authorities, the legislature, the judiciary, the media, and private actors regarding the roles they played in the Chibok abduction saga. 1. That over 200 girls were moved in trucks for several hours without any restraint by security forces raises a red flag on how the evacuations were actually executed, and puts a bigger question mark on the effectiveness of military action in the states under emergency rule. 2. What was the motive behind the initial resistance to publish the names of the abducted girls? 3. As reported by some international non-governmental organizations, the Nigerian military was given 4 hours advance notice before the attack. Villagers also alleged that there was no security presence in Chibok for weeks following the incident. There is still no clarity as to the response time. 4. A Senator representing Borno North Federal Constituency in the Senate, Senator Ahmed Zanna, openly declared that he knows where the dreaded Boko Haram sect are hiding the kidnapped female students of the Government Secondary School, Chibok, Borno State. Why was this lead not pursued? Does this imply that military authorities often ignore the pursuit of leads that might assist in securing freedom for the kidnapped schoolgirls? 5. Why did it take the government so long before taking the necessary military and political action on the abductions? 6. 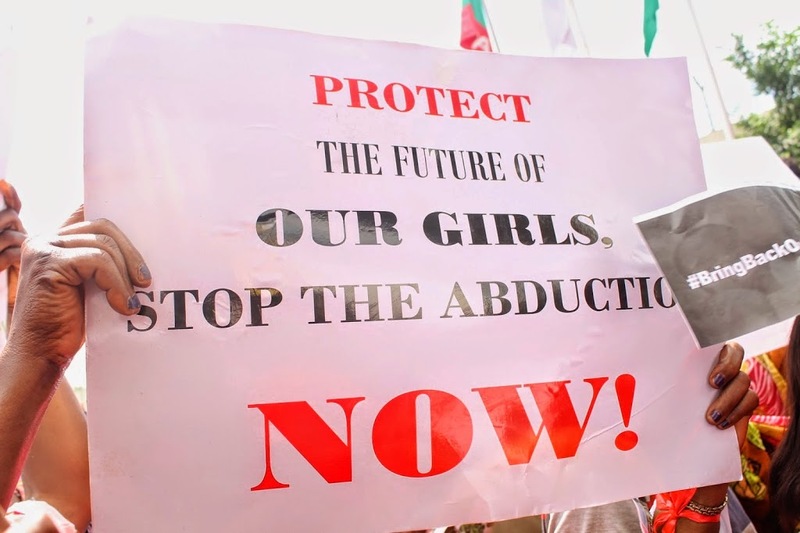 20 girls were reportedly abducted from Government Girls Senior Science Secondary School and Ashigar School of Business and Administrative Studies, Borno State. Have they been found? Does anyone know the whereabouts of these young girls? Why were there official attempts to discredit this incident as a mere a hoax? 7. Aside from Girls Government Secondary School, Chibok, are there other schools where the West African Examinations Council exams were conducted? For 32 whole days, there is no consistent data of the missing girls. We only know large numbers of school girls were abducted, but till this date, the accurate data and personal information of the missing girls are largely unavailable Is there an end to this data gap? Who withdrew the security personnel stationed at the Federal Government College Bun-yadi, Yobe State, enabling Boko Haram insurgent fighters to kill 49 young boys without any restraint? This withdrawal of security forces tends to corroborate claims that military authorities indeed, had advance notice of the Chibok abductions? What interventions have been put in place to response to the large-scale number of persons displaced by the insurgency in the North East? There are over 500,000 refugees scattered around Cameroon, Chad and Niger. There are substantiated media reports of mutiny and protests by junior military officers of the Nigerian Army, accusing the military authorities of poor welfare conditions and low-incentives. This is the first time the military is coming out publicly to protest. These protests were carried out despite the prohibition of acts of insubordination under the Military Act. These allegations are grave. What could have caused this mutiny and what steps have been taken to address the concerns of the protesting officers who risk their lives at the frontlines? Budgetary allocations to national security have increased by almost 500% in the last two years. We demand the Federal Government, for the sake of transparency to provide detailed breakdown of security expenditure: indicating sums spent on infrastructure procurements; salaries; soldiers’ welfare, administration; intelligence; communications and so forth? Is it possible to have actual statistics of soldiers and armament deployed to curtail the insurgency? Information regarding the scale, nature and amount of external funding assistance to Nigerian military formations are often shrouded in secrecy. Is this likely to change in light of persisting citizen demands for increased transparency and accountability in the handling of the security crisis in Nigeria? There seems to be total absence of coordination of security information among agencies and organs of government. By way of illustration, the Ministry of Information, the Ministry of Interior, the Presidency and other organs of government have all issued contrasting views regarding the prisoner swap deal proposed by Abubakar Shekau, leader of the Islamic insurgent group, Boko Haram. Why would different departments of government have issued conflicting statements on the abduction saga. Is there an end in sight to all of the frequent conflicting information from the Nigerian government? What are the roles of other arms of government in the fight against terrorism? Is the judiciary dispensing justice expeditiously in cases involving terrorist suspects? The Department of State Services, DSS, has paraded five suspects, who carried out the May 14 bomb blast at Nyanya bus terminal that claimed 74 lives and injured many others. Beyond the routine parades, will Nigerians see an expeditious trial and conviction of these suspects? Extension of State of Emergency in the 3 North Eastern States: Adamawa, Yobe and Borno? The declaration of a state of emergency in the north eastern states of Borno, Yobe and Adamawa has failed to clip the deadly activities of the Boko Haram insurgenty group. Is an extension of emergency rule justified in light of the deteriorating security conditions and the apparent ineffectiveness of military action? Who is responsible for the assessing the effectiveness or otherwise of the state of emergency declared in these three northern states, and how is this carried out? Official communication, especially by the Information Minister, Mallam Labaran Maku, claims that the Federal Government will negotiate with the insurgents. The Senate President, Senator David Mark says government will not negotiate. What is the official government position regarding using negotiation to secure a ceasefire with the Islamic insurgent fighters? Committeeism Vs Duplicity of Roles? The terms of reference of the Presidential Fact-finding Committee on the abduction of the Chibok schoolgirls conflicts with that of several statutory agencies such as the Nigerian Army, the Nigerian Police Force, the National Emergency Management Agency, the State Security Service and lots more. Would this duplicity of roles not jeopardize the success of the rescue operations? As far back as 2012, it was reported that Nigeria had purchased drones from Israel. Would external military assistance be necessary if those drones were indeed purchased? Why were these drones not deployed to fight insurgents in the North-East with fewer complications as seen now? How come Boko Haram can still hold sway in Sambisa forest after 12 months of imposing a State of Emergency in Borno State? There have been quite a number of reported jailbreaks by apprehended Boko Haram insurgent fighters. The recent jailbreak at the State Security Service (SSS) detention facility is a classic example. It is important to find out whether the frequency of jailbreak attempts is connected to the shortage of personnel or under-equipped armament? The National Security Advisers’ Soft Approach to Countering Terrorism framework reveals that 2 prisons have been refurbished for the purpose of de-radicalizing convicted terrorists, suspects awaiting trial and those released through court orders while 60 prison psychologists will undergo specialized training in the handling of terror suspects. Have officers managing detention facilities where terrorists are held undergone the stated specialized training? There are concerns whether a proper documentation of the number of officers serving in each of the security outfits exist. Besides losing appreciable resources to ghost security operatives every month, this uncertainty makes identification of fake soldiers impossible. Boko Haram insurgents have capitalized on this in the past to unleash their terrorist activities. Armed robbers have also exploited this gap to perpetrate violent crimes and robberies with minimal restraint.